Happy weekend, everyone! I have a bunch going on and it ALL involves being outdoors. I don't know what's happening in your neck of the woods, but NYC is getting smacked by summer and it ain't nuthin' nice. 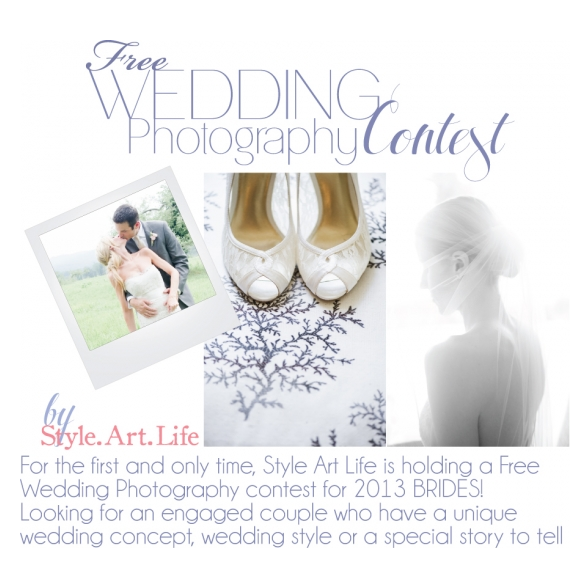 If you're fortunate enough to be able to stay indoors during this heat wave, take a look at this FANTASTIC wedding photography giveaway from Style.Art.Life. That's right, wedding. photography. giveaway. And Twah's amazing, so yeah...go look. Be a pal and pass the link along to any 2013 brides you may know.